If the celebrity homes that you see on TV look beautiful and expensive, it’s because they are. But, hey, they’re the dwelling places of celebrities who can afford to drop thousands of bucks on purchasing, designing, and decorating their property. Unfortunately, not all of us can afford that kind of lifestyle. That doesn’t mean you also cannot achieve a high-end looking home, though. You don’t need to be rich to decorate like a millionaire. Even on a budget, you can create a home that looks straight out of a luxury magazine with cheap but budget-friendly home improvements. In the end, no one really cares if your chaise longue is from Boca de Lobo or pre-loved by a family in the 1800s. Thrift and antique stores are great places to look for affordable but beautiful things you can use as décor. You never know what treasures you’ll find in these places. With a little TLC, you can even improve your initial find and make it look more valuable than it actually is. Faux leather, faux gold, faux wood? All of these are doable. For instance, instead of splurging on a couch that’s made of genuine leather, buy one that’s made from faux leather. Not only is the latter option kinder on your purse, it is also easier to maintain and no animals were harmed in its production. Want a mirror with a golden frame or gold crown molding? You don’t need real gold for that. Just spray these details with gold spray paint and you’ll have gilded items in your home. Hardwood floors don’t just make your home look expensive – this flooring option actually is expensive. Why not choose laminate flooring for your Santa Ana home, instead? Laminated floors can look exactly like their hardwood counterparts but are cheaper to buy and to install. A few days of labor and a few hundred dollars go a long way to making your home look expensive. Wainscoting is a type of wood paneling that’s installed to the bottom half of a wall. This decorative element gives the home a more classic and sophisticated look with its clean, uncluttered lines. 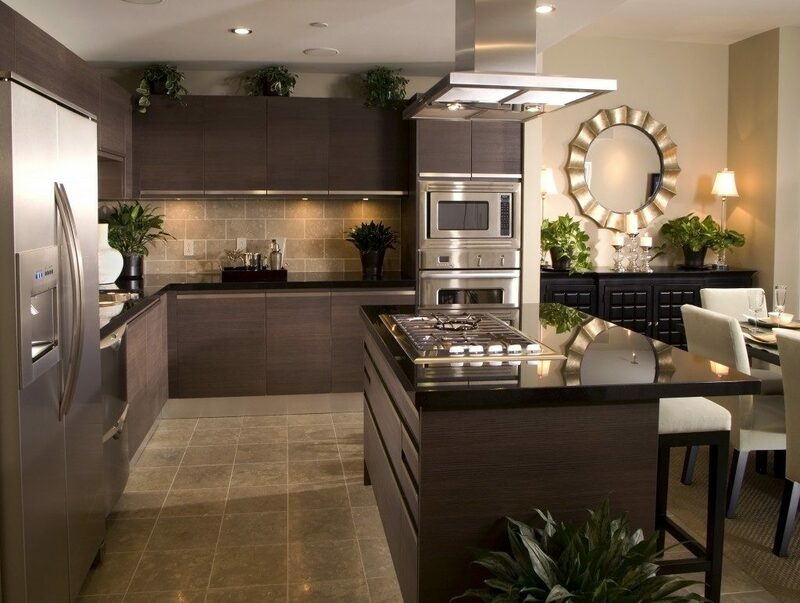 Many truly grand and expensive homes employ a predominantly neutral color scheme. This style gives off an elegant, classic look and a soothing vibe. Choose neutral tones for larger design elements like your floors and upholstery. You can introduce some pops of color in the accessories you use such as throw pillows and other accent pieces. Against a neutral base, bold textures and colors can shine without overpowering your space. This trick is simple: the fewer items you buy, the less you spend. A minimalist design calls focus to the elements you have. It also focuses on space, how much of it you have, and how you use those spaces. An open space tends to make your home feel bigger and when it’s clutter-free, it looks clean and timeless. 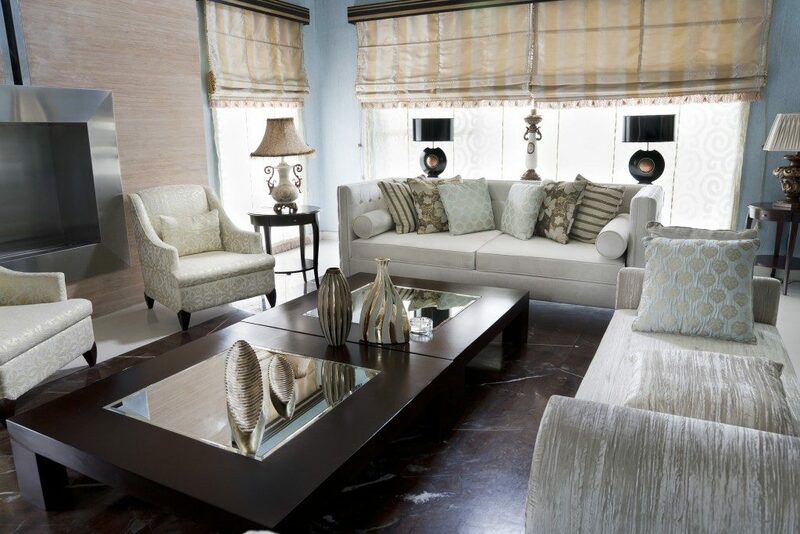 You can add instant sophistication to your home without subtracting heavily from your bank account. All you need are some know-how, a bit of skill, and proven tips-and-tricks and you’ll have a home that looks expensive but comfortable, in not time.